Welcome to feudal Japan, Batman! An action figure of Ninja Batman, from the hit Japanese anime! 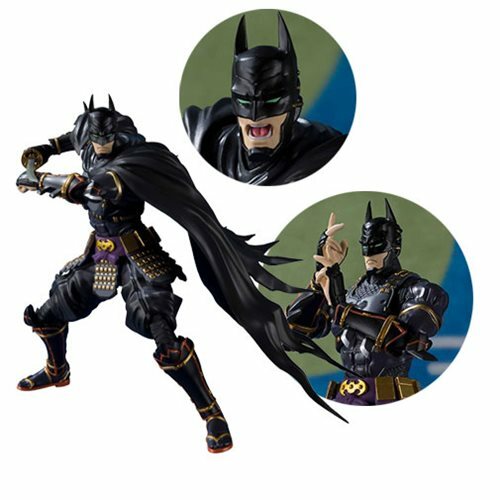 The Batman Ninja Ninja Batman SH Figuarts Action Figure includes a Japanese katana, kunai throwing blades, and optional hands and an optional head. The figure features a removable cape that is posable to enhance Ninja Batman's dramatic silhouette. Measures about 6 3/10-inches tall. Ages 15 and up.